By now, you should know that LEGOs are totally cool. Plus, they’re one of the few toys you can still play with well into your adult years. 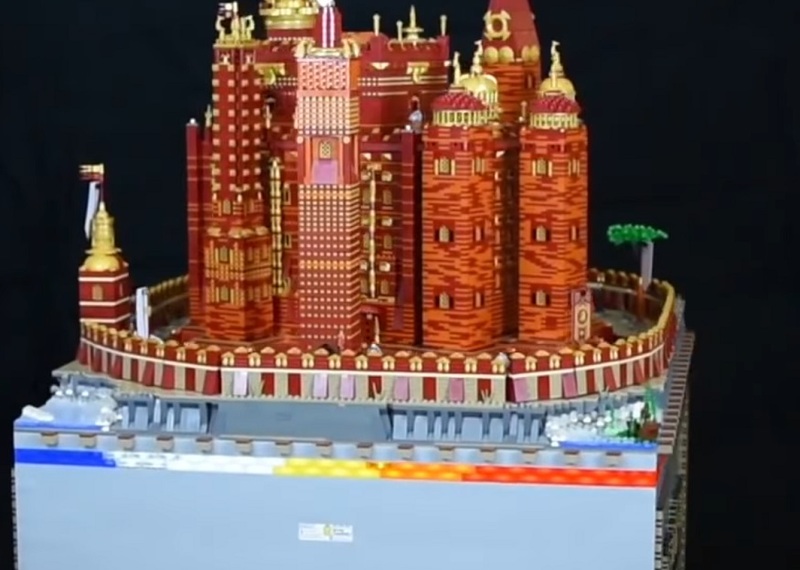 And after seeing this LEGO version of Game of Thrones‘ Red Keep, you’ll be placing an order on Amazon for a brand new set. What makes this model even cooler? It moves. Yes, you heard that right. Fans of Game of Thrones know that the Red Keep is where all the magic happens. It’s the home of the Iron Throne, as well as the Lord of the Seven Kingdoms. So, you better believe that it’s an impressive piece of architecture. This masterpiece is credited to two LEGO geniuses. First is Claus-Marc Hahn from BricksCreations, who was in charge of building the Red Keep and making sure it was close to the original. The motorization was done by Werner from 1000steine.de, who used four EV3 motors to truly make the castle come alive. We are super impressed. This obviously took time, and the final product is truly a work of art. All in all, 125,000 pieces were used. That’s a lot of LEGO. Knowing what we know about them already, it’s no surprise that BricksCreations had a hand in making this a reality. They’ve dabbled in pop culture before. In fact, they once assembled a scene from Woodbury, Georgia — home of The Walking Dead. As for the Red Keep, they’ve been teasing a Game of Thrones-related LEGO assembly throughout the entire month of March. We must admit, it was worth the wait.